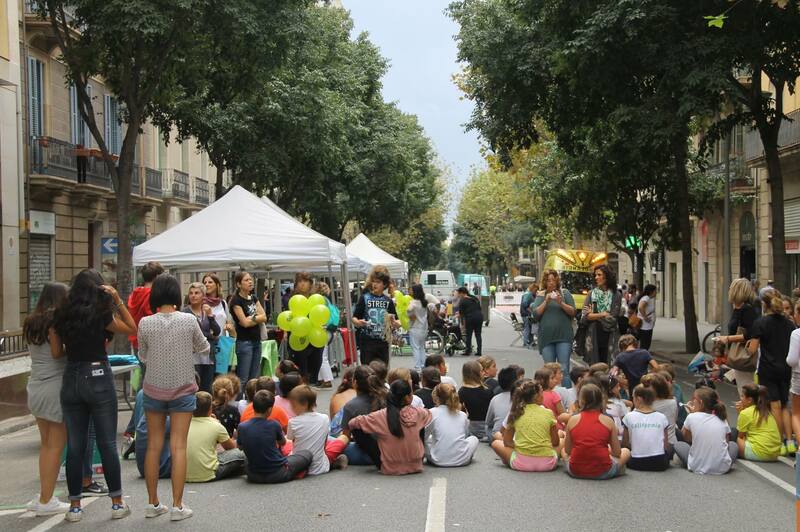 How can citizens build a strong case for change and monitor the impact of action? For Making Sense, we are working with communities to identify the goals for each pilot and to discover ways that impact can be measured. For this, we are using Community Level Indicators together with the sensor data to build a strong case for participatory sensing. 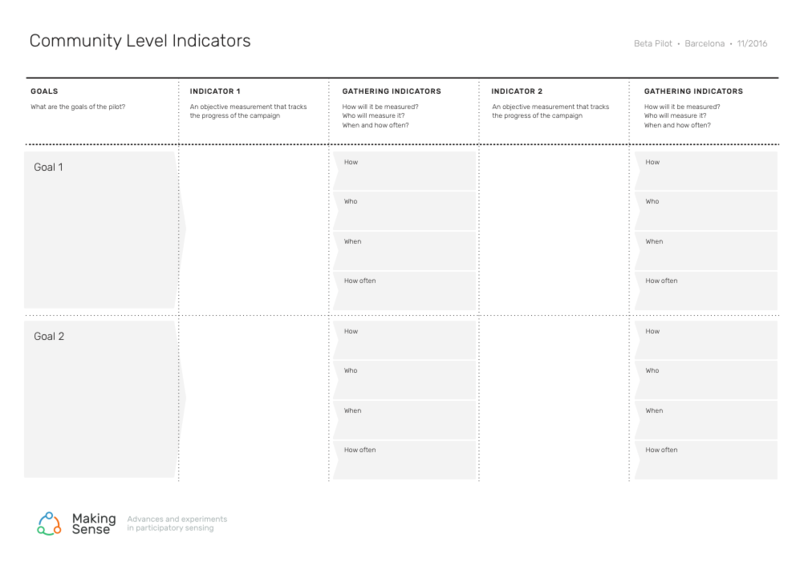 What are Community Level Indicators? 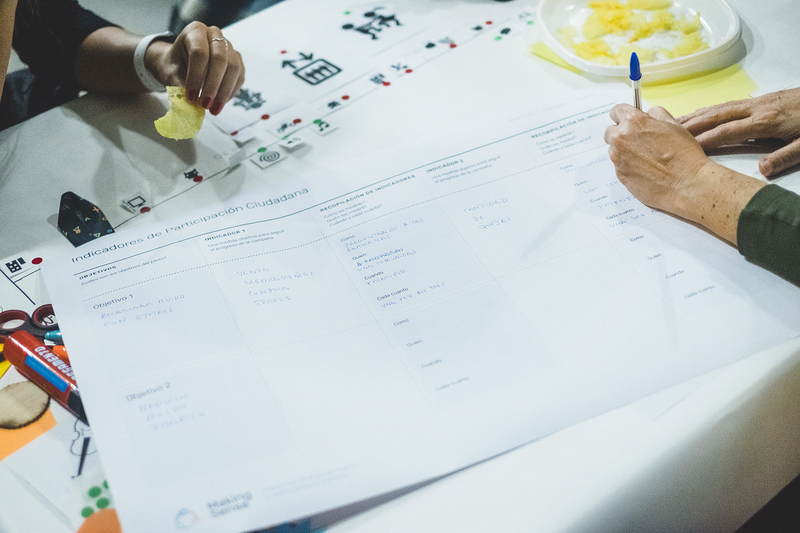 Community Level Indicators (CLIs) are guides for measuring and determining, which are measurable and can determine whether changes have occurred as a result of a campaign. 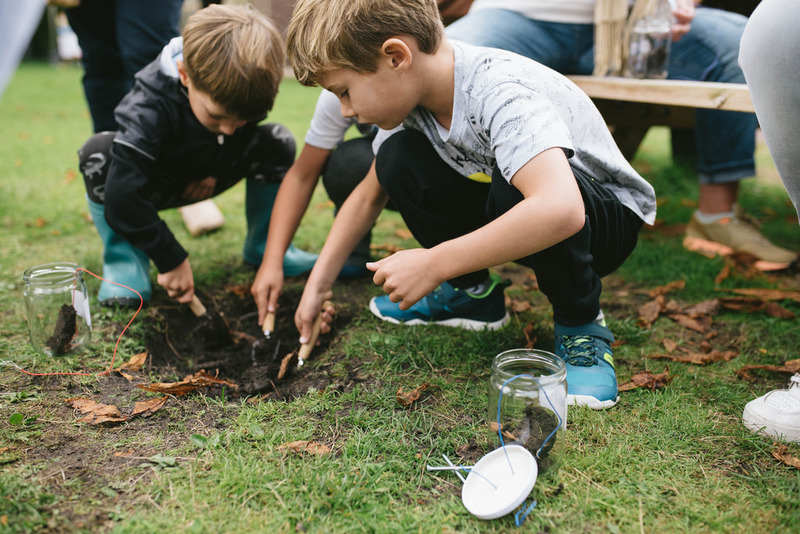 For example: for a campaign on the environment’s impact on human health, CLIs could monitor the quality and quantity of drinking water in the community, by observing indicators such as measurable pollutants or problems with the water source. Why and when should use we Community Level Indicators? The indicators are used to complement the sensor data and to better understand the sources and causes of environmental issues. Once the pilot goals have been set, the indicators can be identified to better understand the causes of concern and to boost collective awareness on environmental issues. How do we find indicators? We find things, related to the goal, that we can measure changing and try to collect data ourselves or use existing data. Public resources, like online government databases are a great source for collecting CLIs. How do they fit into Making Sense? We are assisting Making Sense participants in creating their own goals and indicators and monitoring them over the course of the pilots. 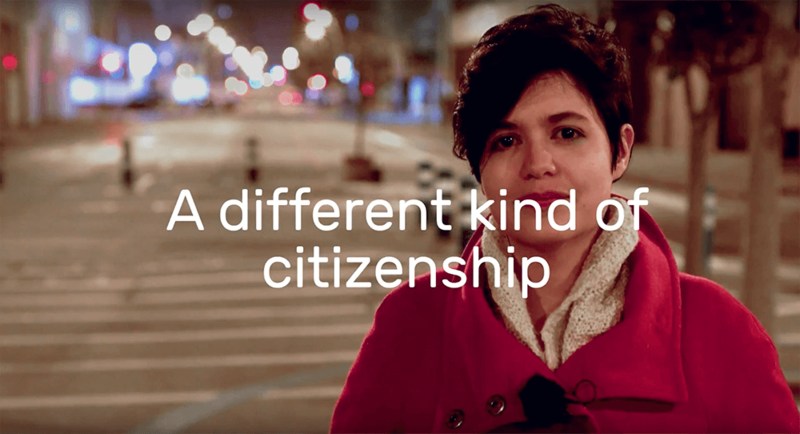 We want to empower citizen knowledge through this new approach, and we are developing a toolkit to do this. 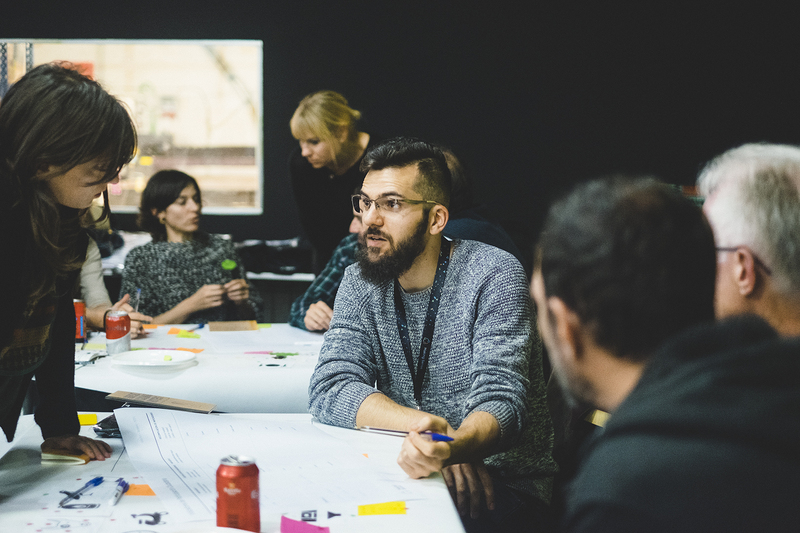 Last week, during the Onboarding Workshop at IaaC (Barcelona) the participants took the first steps in creating CLIs around the issue of noise pollution in their city. They collectively created pilot goals, and used the Making Sense CLI Tool to create ways for capturing and evaluating CLIs. 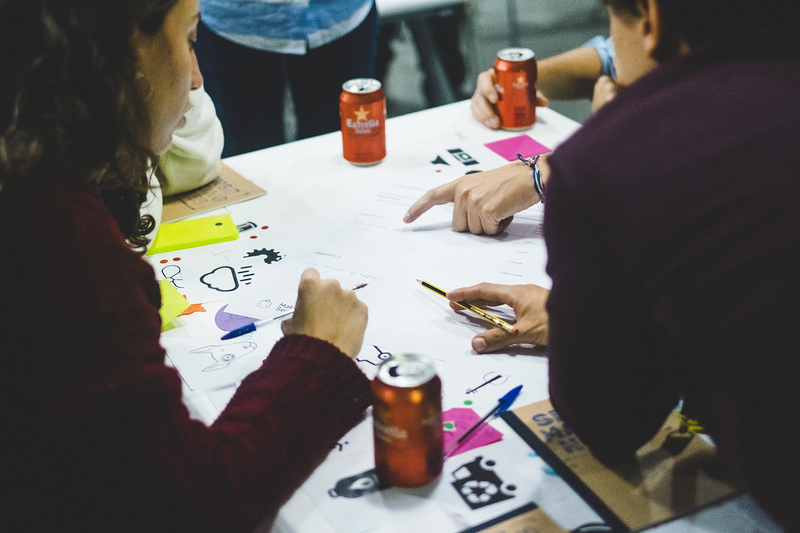 This workshop galvanised this passionate group, and they came up with a bunch of great indicators. 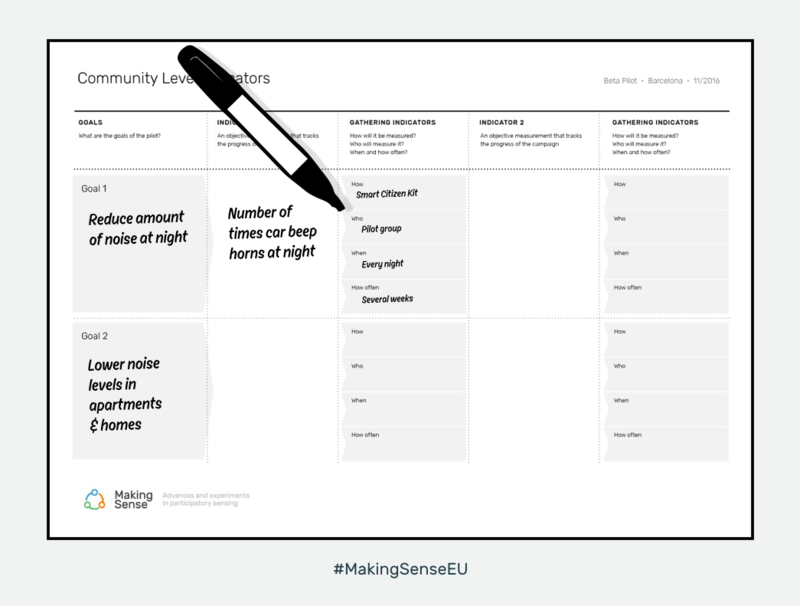 For the Making Sense team, it was our first opportunity to find out how participants engage with the idea of CLIs and how we can best support the participants in future projects. This post is the first in a series about the tools we are developing as part of Making Sense.